This is a copy of a letter published in The Korea Herald, April 3, 2012. Please cite as: Deflem, Mathieu. 2012. “Lady Gaga and Teenagers.” Letter to the Editor. The Korea Herald, April 3, 2012, p. 13. I am writing with regard to the decision by the Korea Media Rating Board to ban the Lady Gaga concert, scheduled for April 27 at Seoul’s Olympic Stadium, for people under the age of 18 years. While the KMRB is entitled to establish ratings of media in view of considerations related to mental development and the well-being of the citizens of the Republic of Korea, it is not entitled to render verdicts for all Korean people on the basis of the specific worries of certain private groups. It appears, however, that this is exactly what has happened and that the Board has bowed to the pressure of very narrow private efforts, such as those taken by the Korean Association of Church Communication, which finds the music of Lady Gaga inappropriate. While it is the right of any private group to hold whatever views it wants about the merits or supposed dangers of artistic expressions, it is not entitled to impose those views on others against their will, let alone to use a government agency to do so on the basis of the rather dubious rating of one Lady Gaga song (“Just Dance”). I also find the decision to ban the Lady Gaga concert for younger teenagers offensive towards their parents, who are more ideally suited to make determinations on the well-being of their children than anybody else and who should, in a democratic society, be able to freely discuss with their children themselves what kind of cultural activities they can and should participate in. A society that is committed to producing responsible adults should start with educating and informing its young people, not prevent them from listening to certain music or attending certain music concerts. Besides, what is forbidden may very well become more attractive precisely because it is not allowed, an ironic effect that is overlooked by the age-related ban. It is doubtful, moreover, that an exposure to Lady Gaga’s music will have any noteworthy effect on the conduct of the younger (and older) people who like her songs. The place of lyrics in popular music is ambivalent at best as the premium in such music is placed on the beat and the melody rather than the meaning of the words, which is usually not seen as very important and often poorly understood, especially by a non-English audience. Besides, many other factors in our immediate surroundings (family, school, work) are much more significant in shaping our conduct. More generally, the impact of the work of Lady Gaga, which is of course very considerable, is much broader than the lyrical themes of any of her songs as she has made great efforts to empower young people in their lives and has sought, in her own modest ways, to bring harmony to the world. As somebody who was raised in the Catholic faith and who has explicitly embraced religion and spirituality, Lady Gaga has in fact done much to promote values of acceptance towards all people irrespective of their specific backgrounds and orientations. The only message that any person can rightfully associate with Lady Gaga is one of love and understanding. I hope that the people of Seoul as well as the visitors to the great city (such as myself) who will be attending the Lady Gaga show will be able to freely and peacefully experience these positive sentiments. 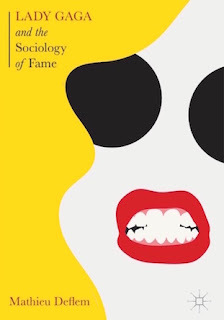 Mathieu Deflem is a professor of sociology at the University of South Carolina, in which capacity he has done research on music censorship and teaches a course on the fame of Lady Gaga. ― Ed.